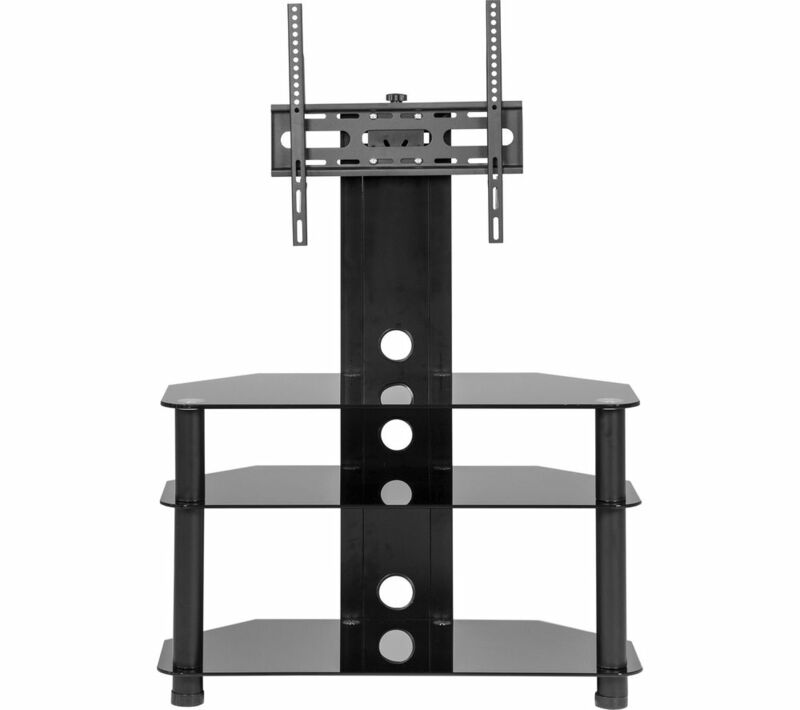 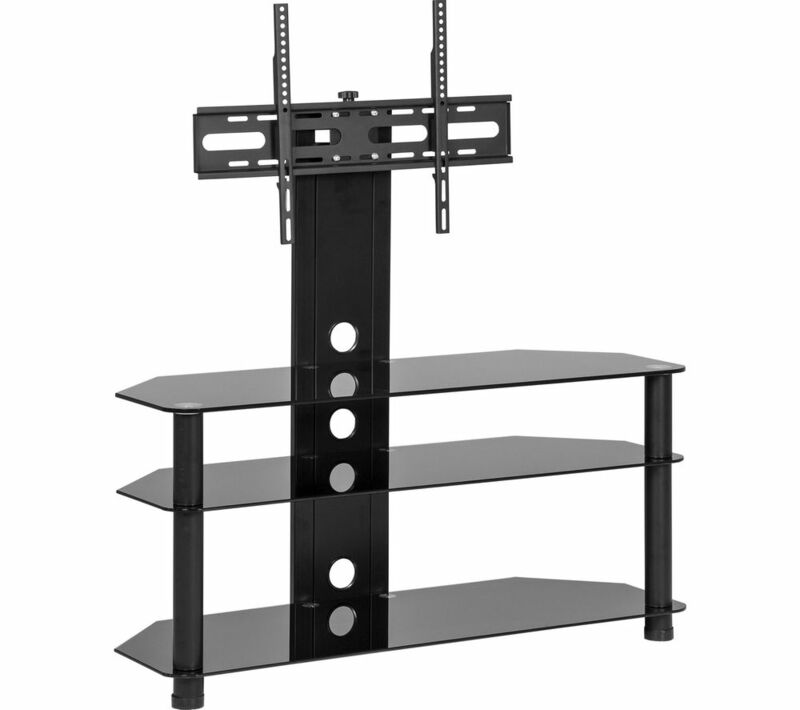 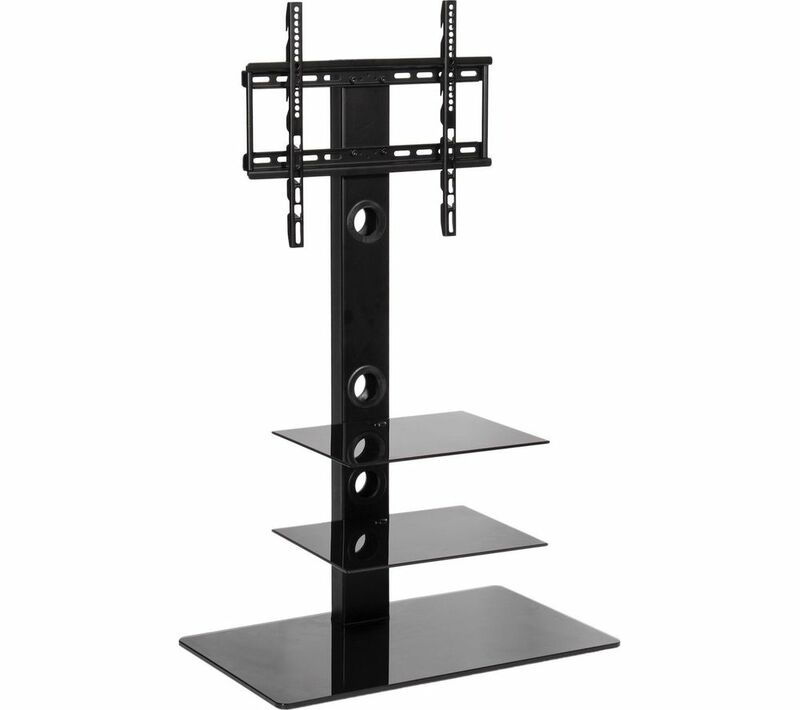 Versatile and practical, the MMT D910 Trolley 900 mm TV Stand can fit any TV up to 65" and weighing up to 50 kg making it ideal for commercial and exhibition use.The simple, hassle-free rear column height adjustment lets you tailor the D910 for your audience - raise it up it for a big crowd and lower it for a meeting around a table. 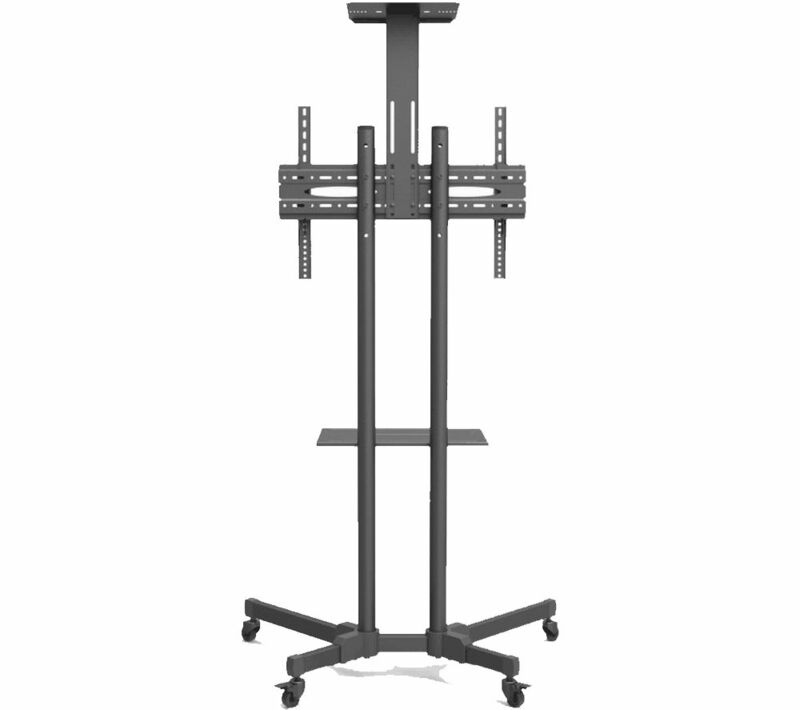 Fitted with four castors, the D910 can be wheeled from room to room with very little effort, and as they lock into place you can be sure it won't roll or move during your presentation. 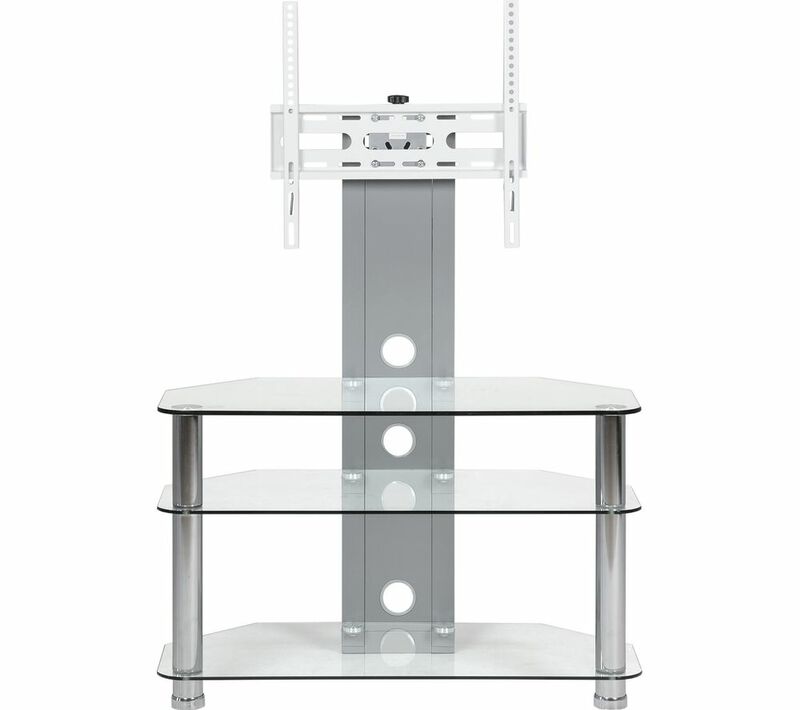 The glass shelves are great for times you need extra storage for your laptop, paperwork and other bits, but can be removed and stored away when they aren't needed.